I put up a video on my mymovetocanada Youtube page of the two (2) travel guide books I have been using to learn more about Canada and Vancouver. These are over and above the websites that I listed and will list in this blog. 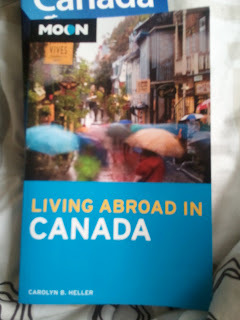 Living Abroad In Canada by Carolyn B. Heller is published by Avalon Travel books. I would have preferred to also buy the smaller book called Moon Metro Vancouver, but it wasn't available in my bookstore. How I wish they had it! Anyway, Living Abroad in Canada is a great book for anyone who is considering to or is moving to Canada. It has valuable information about Canada itself -- their customs and norms, including amusing facts about differences in pronunciation, spelling, and expressions. It includes enough historical information to keep you interested, but leaves out the in-depth discussion so you keep on reading. It's very practical in discussing things that are different between the U.S. and Canada, and for me (coming from the Philippines) clarified some questions such as 110V or 220V? U.S. Standard 2-prong or European standard 3-prong plugs? Should I even consider bringing my car (Answer: No! Buy one there so that you are sure it meets the Clean Air regulations!)? Very practical stuff. One of the most valuable sections is the one on Daily Life. Here everything is discussed from How to Migrate to Canada. It gives you the steps you need to follow depending on the type of immigrant application you are making, as well as useful websites. With regard to immigration, if you haven't filed your papers yet, this will give you a general overview of what will happen and what you need to do. However, be warned that immigration rules have changed since this book was published in 2008. So for specific instructions that are UP TO DATE on the IMMIGRATION PROCESS, go to the official CIC website. This book contains information on how to obtain your Permanent Resident Card, you Social Insurance Number (this is like the U.S. Social Security Number), and also important, your Medicare coverage. Medicare is important because the Canadian system is different wherein all residents and citizens are covered by the Government. You'll also find information about primary and secondary schools for children, the cost and financial burden of college or university. That's a big difference between Canada and the U.S. (and I think most of the world). Apparently in Canada, the word "college" refers to vocational studies, and "university" refers to a degree program. There is an entire section on housing. Buying? Renting? Where to go? Communities and neighborhoods. Lots and lots of useful information for the person moving to Canada. 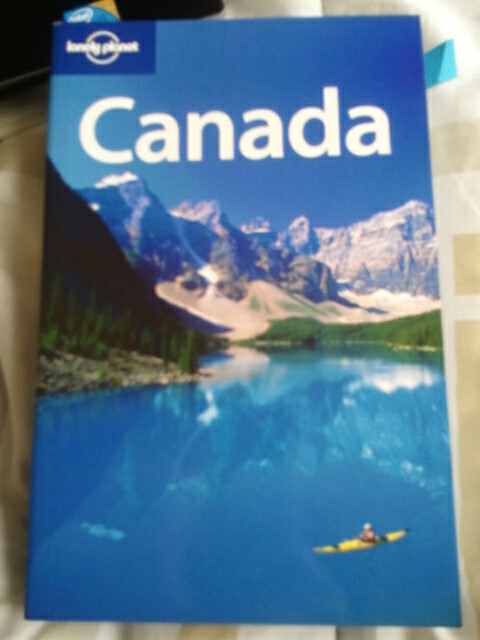 The other book is Loneley Planet's Canada guide. I found this useful because it has printed maps of Vancouver (remember I couldn't find the Moon Vancouver guide?). So, I really needed one that had a good map. This guide proved useful. It discusses the various neighborhoods in Vancouver, which is important, too, because Vancouver has a rather diverse ethnic community. You'll find information about good restaurants, and places to see. For the tourist, you'll find this useful because it gives you sample one-week, two-week, and one-month vacation itineraries. You'll also find the major festivals to look out for when planning your trip. I'll continue to post information as I get around to it. In the meantime, this is what I've done and the tools I've used.